One man can lose the war in an afternoon – but which man is it? Now on Amazon Kindle, and Tweeting here. May 1916 – World War 1: as the bloodshed and stalemate of the land war continues, over 100 ships of the British Grand Fleet are moored at Scapa Flow. Yet under the command of Admiral John Jellicoe, the most powerful navy the world has ever seen appears to be doing little to help end the war other than swing idly at anchor. Meanwhile, the German High Seas Fleet senses an opportunity to lure Britain’s fast but poorly-armoured battle cruisers – under the impetuous Vice-Admiral David Beatty – into a trap. Its aim? To deliver a knock-out blow that will cripple the Royal Navy, and hand ultimate victory to the Kaiser. But as Jellicoe continues the War Cabinet’s strategy of blockading Germany by sea and starving her into submission, British politicians, the press and the public alike grow increasingly impatient for an end to the stalemate, and long for a crushing Trafalgar-like victory at sea. In between rest the lives of tens of thousands of British sailors, including 15-year-old Jack Cornwell. ‘Castles of Steel’, a play for radio by Nick Wray, is a fictionalised account of the Battle of Jutland 1916, and includes dramatic and controversial portrayals of John Jellicoe, David Beatty, Jack Cornwell, Winston Churchill, Lord Kitchener, and John (‘Jacky’) Fisher. A short, caustic stage drama about social media and ‘digital’ (‘man’) that emerged from two Tweets I saw (one about Google Glass, the other about ‘wearable’ body sensors). Heart of Glass was shortlisted in May 2014 by ‘Little Pieces of Gold’/Finsbury Theatre London new writing showcase. The play is now available on Amazon Kindle here. …yada, yada, yada… Written before my bloody first tour of duty during the Great Web Wars, this links to my short treatise/monograph The Living Garden.” ‘Living what?’, I hear you say. Weeeellll… it’s an essay that tries to ask questions about what’s digital media ‘for’, the use of interface, and the concept of ‘value’. Written in 1995 — when digital was still quaintly referred to as ‘multimedia’, and manufacturers were trying to convince us that PCs would be the clear point of contact for all things ‘digital’ — the Garden was ‘Liked’ (in the pre-Facebook sense) by Simon Schama, amongst others. The thoughts and text were developed during my Royal College of (F)Arts [sic] (Blue) Period, during a sojourn from the coal faces of commercial publishing. There still seems to be plenty worth thinking about here from ‘mindful’ media and interfaces, to what content is: ‘discuss’ or alternatively pass the Absinthe…? A three minute scene from ‘The Saffron Monk’ by Nick Wray – in development for Radio 4. 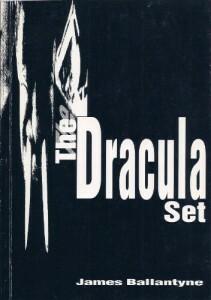 “The Dracula Set” by James Ballantyne – published and illustrated by Nick Wray at the Company of Words. 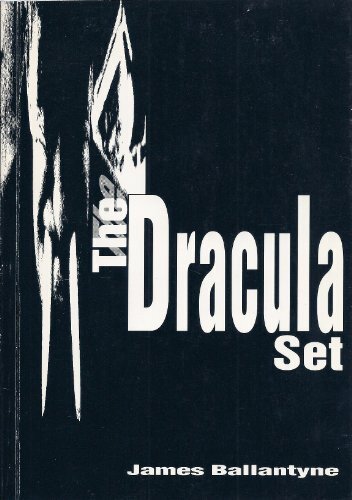 A collection of funny, moving and sinister vampire poetry (and why not!?) by playwright and poet James Ballantyne. I saw the opportunity of using emerging laser printer technology at this time (1993) to layout as well as illustrate the volume under my own imprint, The Company of Words, bypassing traditional publishers. A few copies of the ‘Set’ are still available through me, or via Amazon.